1. 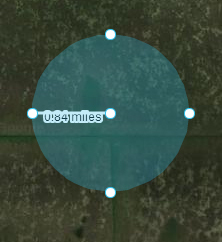 Click the circular Geofence button at the top of the map. Your cursor will now change to a + symbol. Click where you would like the center of your Geofence to be and drag the cursor until your Geofence is the desired size. Once your Geofence is the correct size, click again. To move the Geofence, click in the middle of the circle and drag it to the desired location. 2. 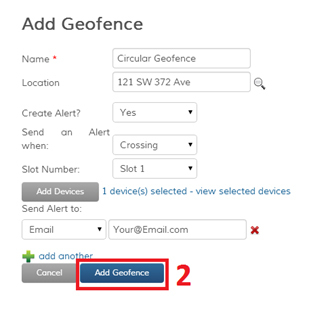 Click the ‘Add Geofence’ button and your Geofence will be saved. This entry was posted in Geofences on March 17, 2014 by .